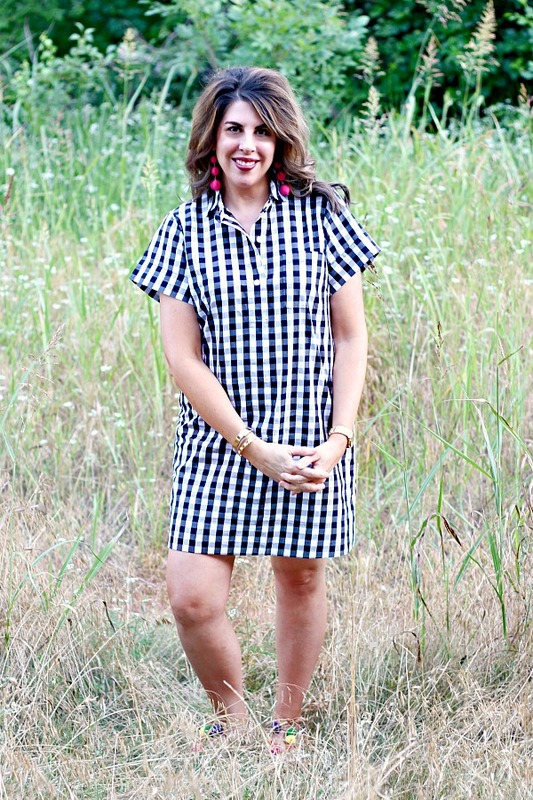 THE PERFECT CASUAL SUMMER DRESS- IT'S BLACK AND WHITE GINGHAM, Y'ALL! I love talking all things home decor here, but I really like clothes too! And guess what? A lot of times I dress like I decorate my house. 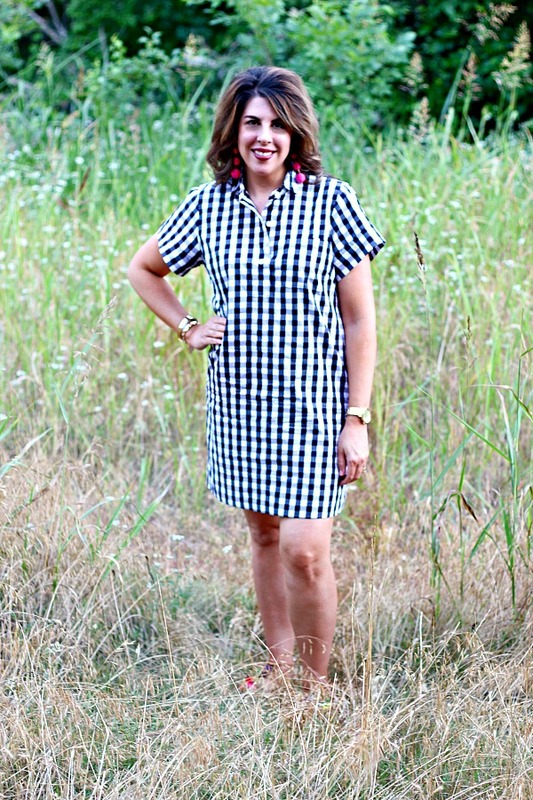 So when I saw (affiliate links included) this black and white gingham dress a few days ago, I snatched it right up. I knew it would be the perfect casual, comfortable, cool dress for summer. I find myself reaching for simple dresses more and more in the summer. They are so much easier to pick out than an outfit, even if it's shorts and a t-shirt, and it's takes almost zero effort for a much more polished look. Not to mention how much cooler they are on hot summer days! I'm about 5'7" and have a hard time with shirtdresses being long enough unless I order a tall, but I'm comfortable with the length of this one. The fabric is crisp and has a nice weight to it. I bought a size up from my normal size, because I like to have some room in dresses like these. I'm not sure if my regular size would have worked, it was out of stock and I was happy with this one so I didn't even try on my regular size. Also, just so you know, the sleeves come with a cuff tacked up but I wanted a little more length in the sleeve so I just clipped that stitch and unfolded them. This dress begs for fun accessories! I picked up a pair of ball drop earrings and thought that they might be a bit heavy, but they really weren't bad and didn't bother me at all. 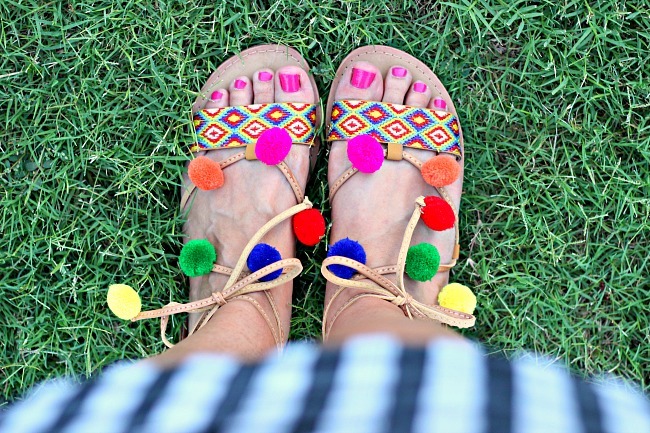 I've wanted some pom pom sandals this season, I mean... how could I not? I scored this pair at Ross the other day, but I found some others that are very similar online to share with you. Just scroll through the photos below and click on the picture you like for shopping details. My Barrington tote is my go-to every day bag, and it fit right in with this outfit. 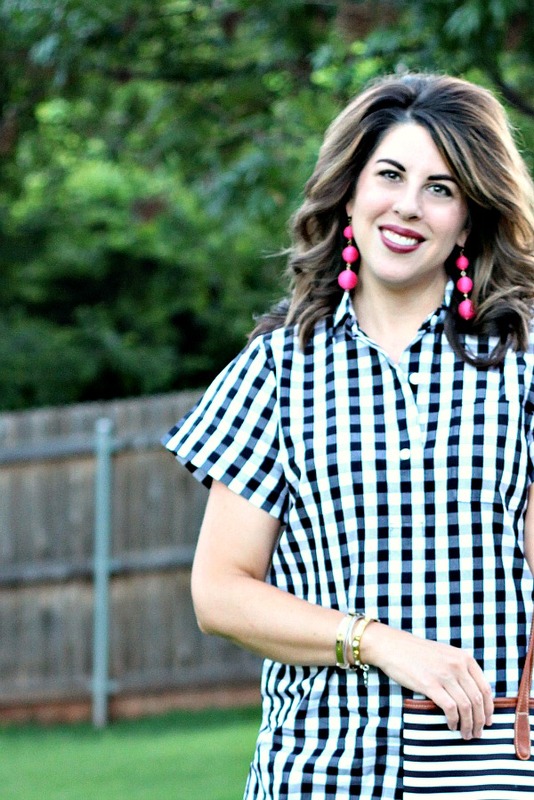 Stripes+Gingham forever! ;) I would say I'm about to wear it out, but actually it still looks as good as the first day I used it. I've had it for a year and carry it almost daily. It's showing no signs of wear and I can't tell you how many things I've stuffed in there and how much weight it's carried (laptop, big camera, calendar...). It's great quality, for sure! I know I'll get lots of wear out of this dress. I can dress it up a little with wedges, fancier jewelry, and a cute clutch, and when it gets cooler it would look darling with booties and a cardigan or even tights and tall boots! I thought you all might love it as much as I do. If by some chance you're not a fan of black and white gingham, this dress comes in some other designs too, as well as a few solid colors. And, the best part is, they're all on sale! That darling plaid one is next on my list! I love this dress! You have such great style! Thank you Kellyann, glad you like it! 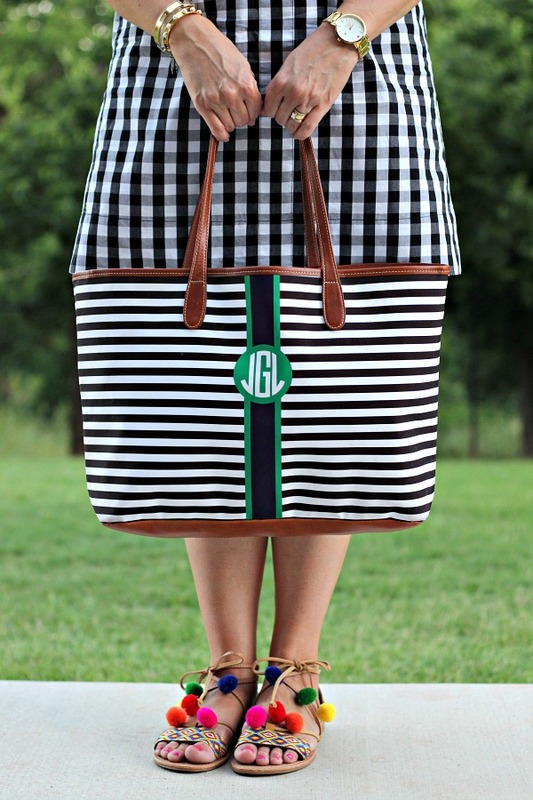 Just thought I'd let you know I just finished ordering the plaid shirtdress because of your post! You should get a commission! I do. :) These affiliate links help me earn a small commission so thank you! I hope you really love your dress! Cute dress and love the sandles! I love your post of clothes. You always look so cute. After all we are not looking for fashion models; we see plenty of that in magazines. You give us clothes we all can use. 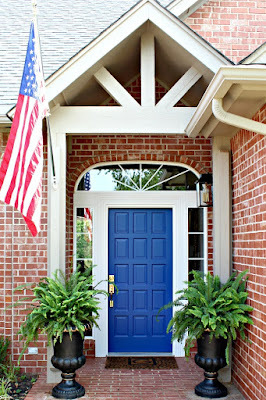 And I love your fabulous home posts and pics of your family. Keep up the good work. That is so very kind of you, Eleanor. Thank you! HA! I already scored this dress last weekend, and thought of you. Love the colorful accessories. Thanks for the inspiration. And you do a great job modeling! I love your fashion posts! Please keep them coming. I ordered it! Can't wait to sit on my gingham bench ( that you also found for me) in my new gingham dress. Hubby and I went on a convertible ride tonight and I just happened to end up near our Ross store. I found the darling Pom sandals too! 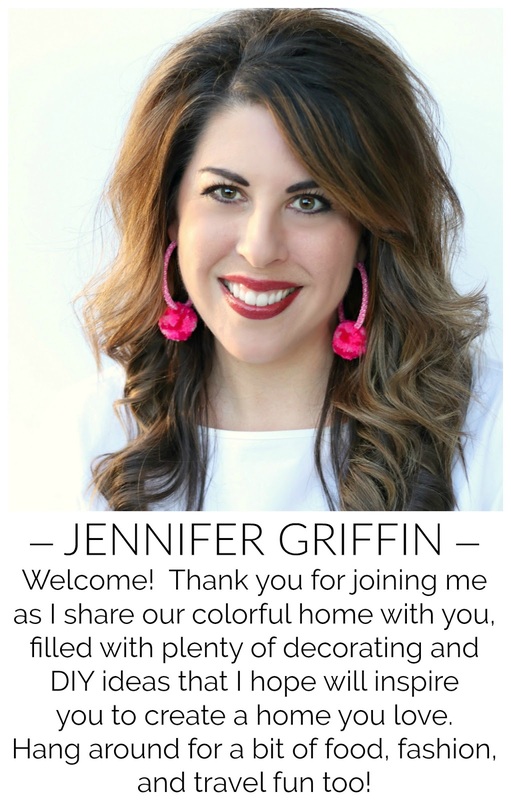 Thank-you Jennifer! Love your style!